Cats must be Vaccinated: Cats shall only be admitted in to the cattery if they are fully up to date with their annual vaccinations. In all cases a vaccination certificate will need to be sighted on arrival. Please do not be offended that we cannot accept your cat if you turn up without the certificate! This is for the protection of all guests. Fleas and Worms: All cats admitted to the cattery should be up to date with flea and worm treatment. 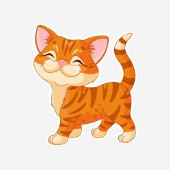 If a cat is found to have fleas or worms during their stay they will be given flea and worm treatments and the client will be billed accordingly. Cancellations and Refunds: When you book into the cattery you will receive a confirmation stating the start and end dates of your booking. You will be charged for the full time your cat is booked in to the cattery, whether or not you pick up your cat early, or delay arrival day. Boarding is at owner's risk: It is clearly understood that all cats are boarded at the cat owners' risk. While all precautions and care is taken, we are not liable for escaped cats, accidental injury, sickness, or death while in time of care. Medical Conditions must be declared: Any underlying and current medical conditions are to be disclosed on arrival. It is the discretion of the cattery whether we accept boarding based on the type of condition. It is best to discuss this at time of booking. All maintenance at the hotel is done by Patrick. He is the one our guests first meet when they arrive at the hotel. He will take on various duties around the hotel when help is needed, in accordance with Grace's exacting standards, or else! Grace is the first point of contact should any of our guests need anything at all. She is always popping into the cattery to check they are enjoying their stay, and is the main provider of all the services at the hotel. Vanessa is the resident chief cat groomer. She grooms the cats till they purr and nod off in her arms. She gently strokes their belly and gives a gentle soft massage which our guests just absolutely love. Come view our facilities. WhatsApp us today for an appointment! The Happy Cat Hotel is a small family run feline-exclusive boutique hotel and boarding cattery in Kensington, Johannesburg which provides the highest standard of care for our clientele and their cats. It is a place where you can leave your cats with complete peace of mind, knowing they will be provided with a secure, hygienic and comfortable stay which is sensitive to all of their needs. We are animal lovers with three rescue cats ourselves and promise to care for your pets as if they were our own. All cattery viewings are by appointment only. We charge R120 per cat per day. Check in and check out is strictly between 10am and 3pm. Minimum of 5 days booking throughout the year and over the Easter Period. Less than 5 days bookings & late bookings made from the 1st of April 2019 is R150 per day! Book in through our online system for your cats accommodation. Total amounts will be confirmed when the booking is accepted. © 2018 The Happy Cat Hotel, Cats Only Boarding, Cat Accommodation and Boarding Cattery, Kensington, Johannesburg. All rights reserved.